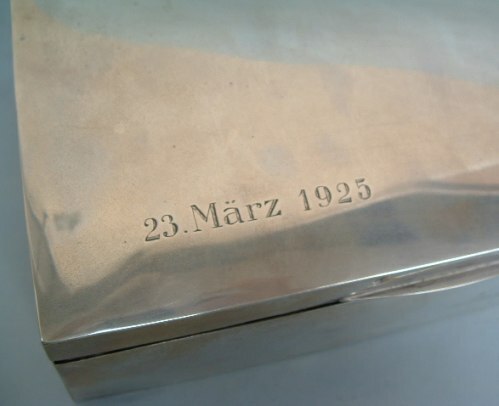 this silver cigarette case with wood interior was made in Germany around 1925 and is hallmarked with "halfmoon and crown" "800" and silversmith's mark. 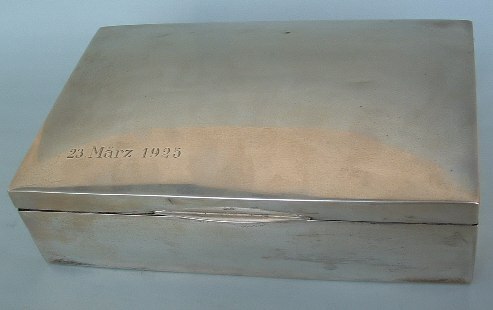 The silver lid is engraved with the date "23 Marz 1925" (March 23, 1925). The box is 8 in. wide (cm. 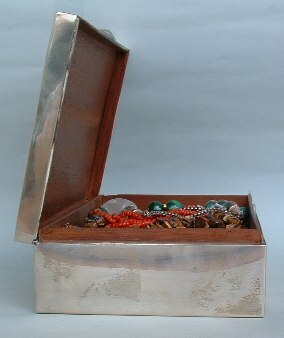 20) and was bought from an Italian dealer at an Antique Market.